Nepal is best trekking destination in Asia . Nepal has four season for trekking in Nepal Himalaya Autumn ( September , October & November ), Spring (March , April , May) , summer ( June, July & August ) & winter season ( December, January & February) . we Himalaya Journey Trekking arrange all season for Nepal trekking. 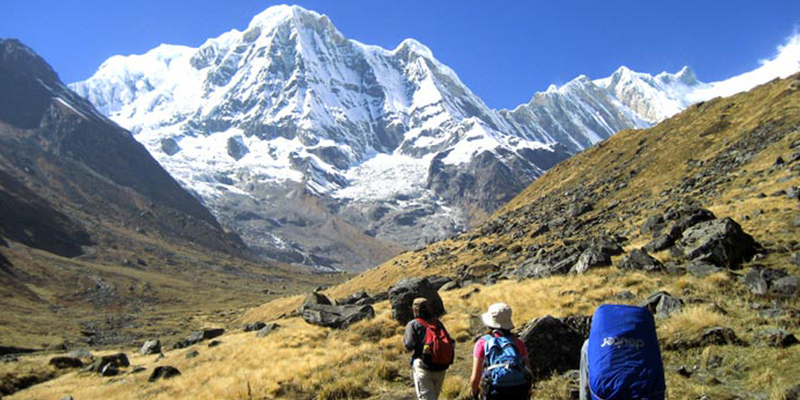 Nepal is fit for all season trekking and have appropriate trekking destination. Normally, Autumn & spring is best Nepal trekking season Since Nepal is a country of diversification with its geography and climate, a nature lover can always make it as his destination of trekking year round. There are normally four seasons are considered in Nepal, each of which has its own particular attraction to offer. Autumn Season(Sep-Oct- Nov): The best season offering excellent weather and out standing mountain views. Spring Season(March-April- May): The second finest trekking season. The temperature is quite moderate, especially the rhododendrons are in complete blossom and the mountain views are excellent. Summer Season( June- July-August): this is the most preferable season to trek in the rain shadow areas like Mustang, Upper Manang and Dolpo. These places are out of reach of the rain clouds because of the huge mountains and are unaffected by the monsoon. This season is also recommended for forest researchers and botanist. Warning-raincoats and insect repellents are strictly necessary in this period.